Keracolor SF is a class CG2WA improved (2) cementitious (C) mortar for tile joints (G), with reduced water absorption (W) and high abrasion resistance (A). Super fine, high performance cementitious grout, polymer modified, for joints up to 4 mm. 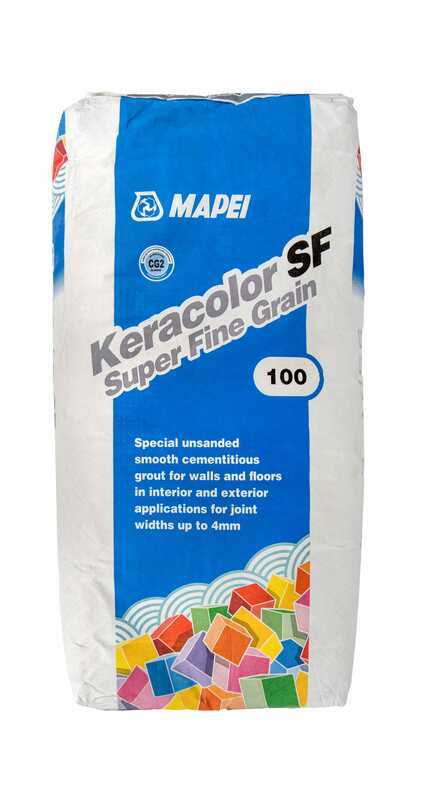 Keracolor SF is used for internal and external grouting of floors and finishes in all types of ceramic (single-fired, double-fired, klinker, porcelain, etc. ), stone material (natural stone, marble, granite, agglomerates, etc. ), and glass and marble mosaic.